Immersed in nature, one hundred miles from paved roads, sits Ultima Thule Lodge, steeped in luxury and centered on adventure. 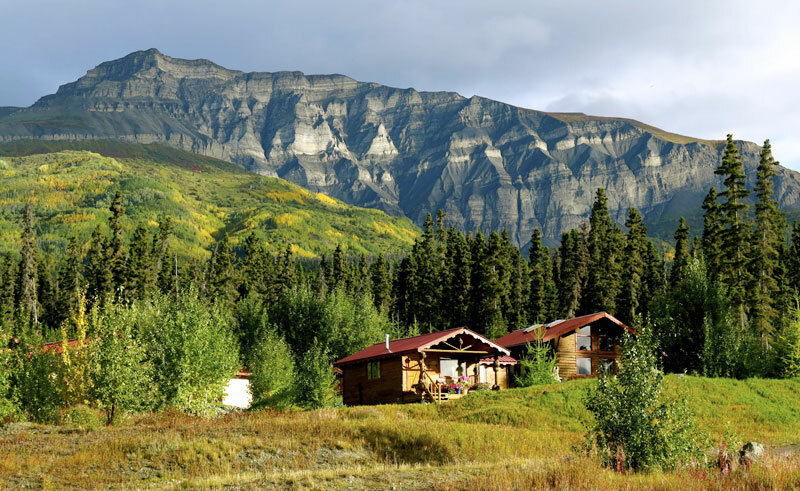 This rustic Alaskan luxury lodge sits in the heart of Wrangell-St. Elias National Park and serves as a cozy and welcoming home in the wilderness. The lodge offers 5 private cabins built using local timber and designed to maximize privacy. 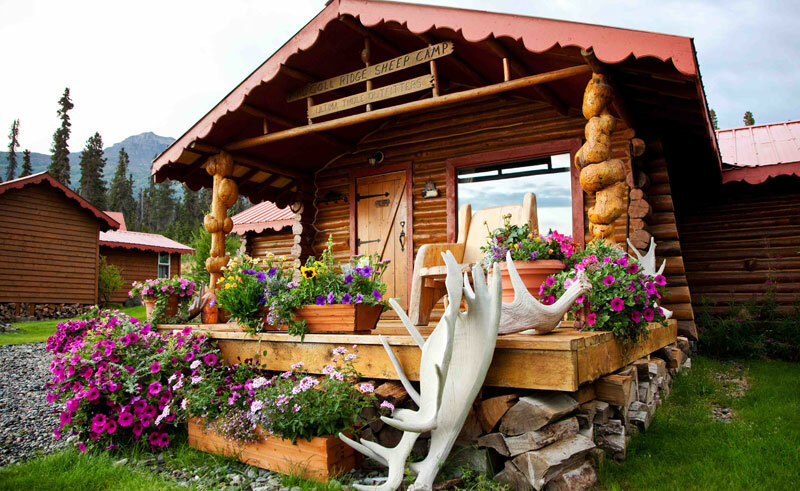 Each cabin has one bedroom boasting an over-stuffed king size feather bed, a full bathroom and an amply furnished sitting room with amazing views of the Chitina River and surrounding mountains. There is also a cedar sauna/self-spa that makes for a great place to relax after a full day of adventuring. 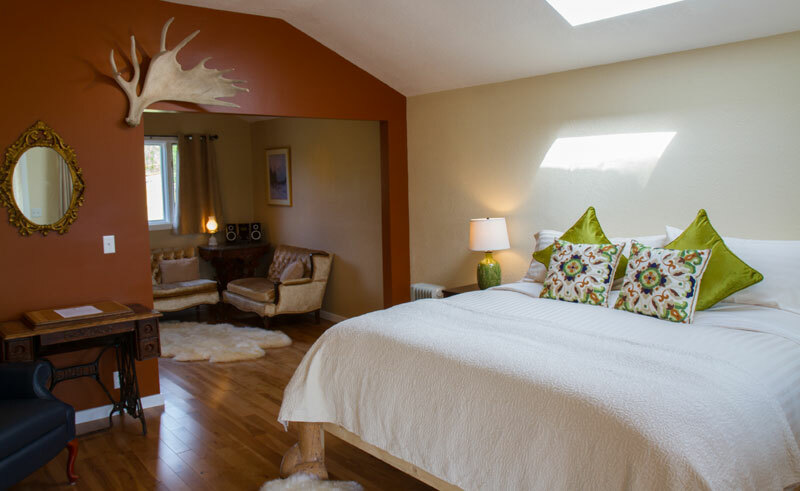 With a maximum of 12 guests at a time you will find the lodge is an oasis of relaxation. The main lodge sits at the top of the hill and houses the dining room, open kitchen, and sitting room with floor-to-ceiling windows looking out over the mighty Chitina River and mountains to the South. Dining is in the main lodge building and features gourmet meals prepared with fresh Alaskan ingredients. There is a large organic garden on site and salmon and wild game are harvested locally. 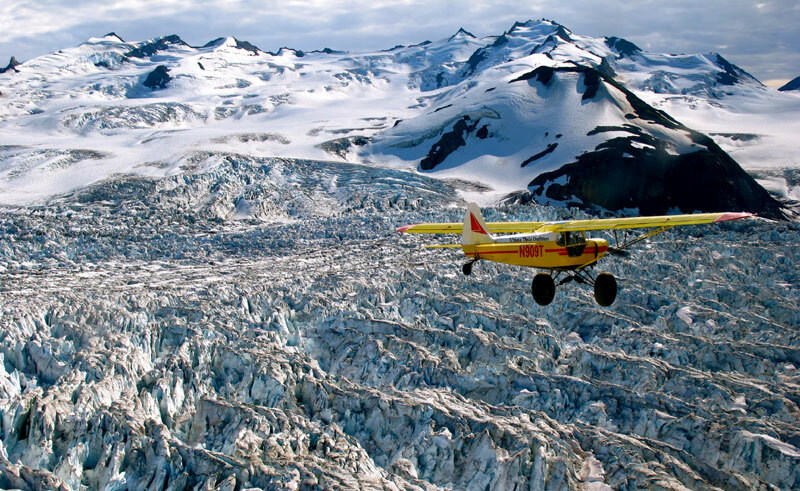 Each day, the weather is considered and safari flight adventures begin. 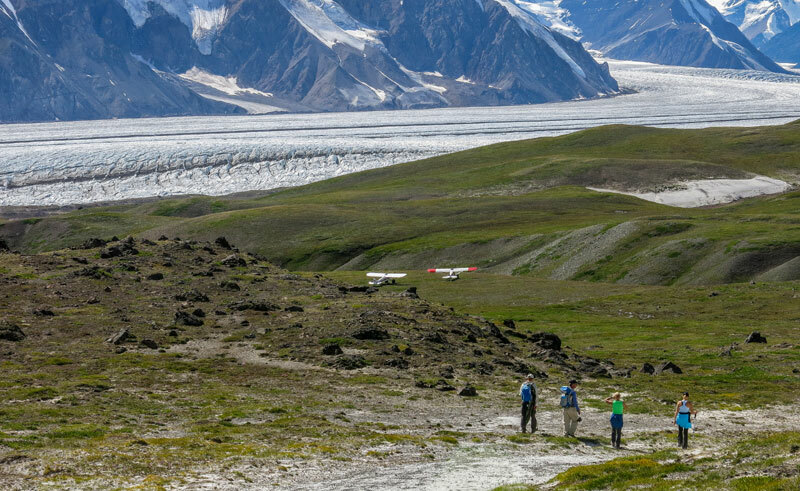 The light bush airplanes are specifically designed to access off the beaten path places while ensuring minimal impact to the natural world and a heightened level of personal experience. 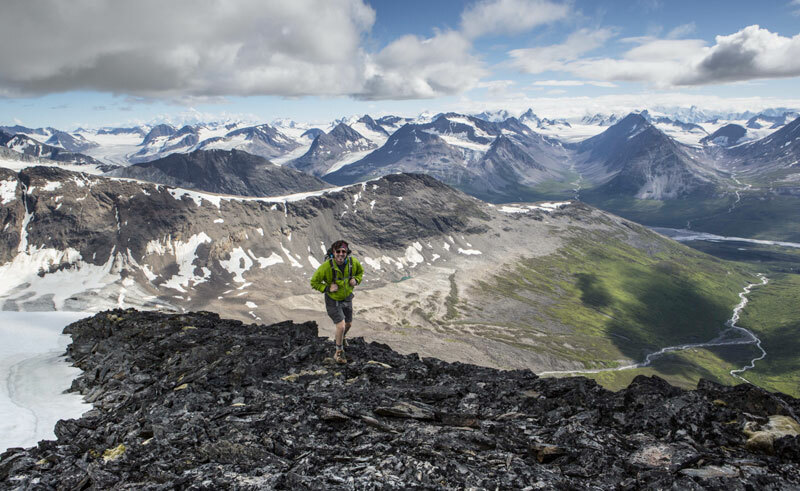 Guests find themselves in a world removed from civilization and the press of humanity while stopping for lunch in the middle of the largest (non-polar) glacier on earth; on top of a high alpine plateau to walk among arctic flowers and sample wild berries; next to a salmon stream fishing alongside grizzly bears, or soaring among 14 – 18,000 ft peaks along the way to the Pacific coastline to watch 1000 year old glacier ice crash into the surf. 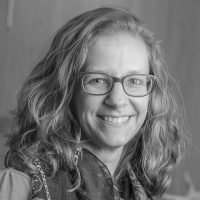 In the midst of all this grandeur, the thing that makes Ultima Thule truly special is the authenticity experienced on a human level. Due to the remote location of the lodge a minimum 4 night stay is required for guests to fully appreciate the wilderness and enjoy the variety of activities on offer. 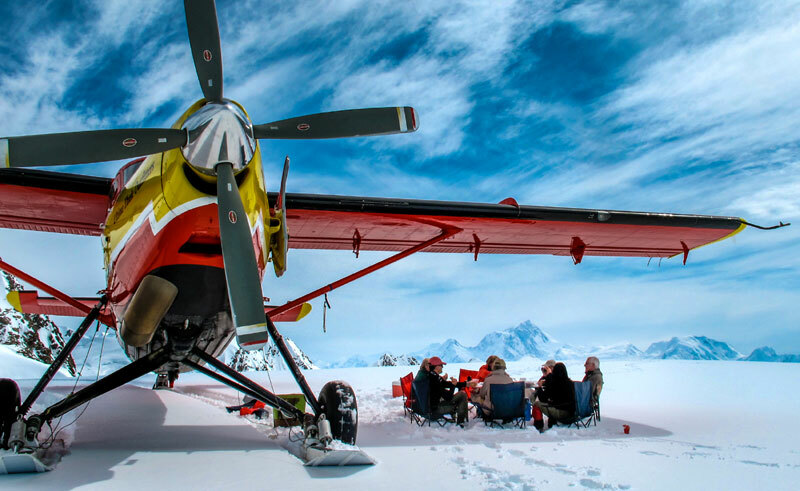 Each package includes flights to the lodge from Chitina or McCarthy, all meals, complimentary beer and wine, access to the sauna, hot tub and self spa, light laundry service, all guiding and equipment, daily bush plane flights and safari adventures and tailor made unique adventures each day with the option of a private guide for every group. 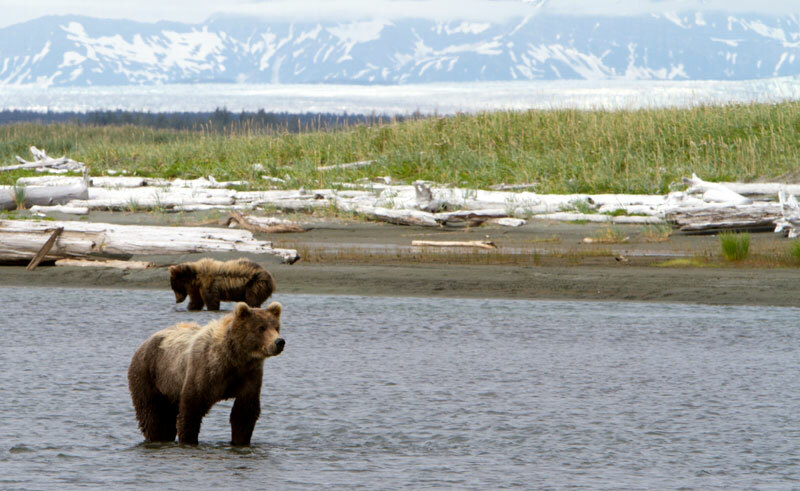 Discover Alaska’s vast wilderness and revel in countless unforgettable experiences on this ultimate luxury holiday.